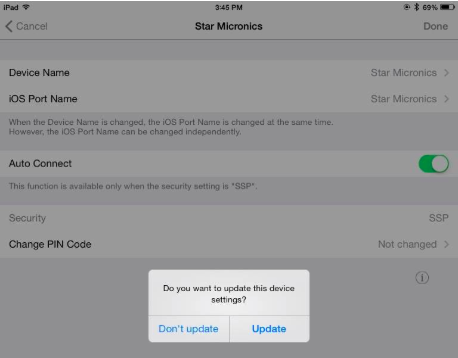 Troubleshooting your Star 650 Bluetooth Printer on the iPad – How can we help? Tap on the home button on your iPad, which will take you to the main screen where you will see all the apps on your iPad. Tap on Settings -> Bluetooth and check that your Bluetooth printer is Connected. Head to your Vend App. Tap on the 3 line menu icon on the top left-hand corner of your screen. Tap on Settings -> Hardware. Tap on the printer that you have installed. Scroll to the bottom of the page and select Remove Printer. Tap on Add Printer -> Re-enter the printer name and set other print preferences. For more information on how to add a printer, check out this article. Select the model of the printer. Once the model is selected, select Find and the printer that appears. It may say Unrecognised. Make sure your printer is paired with your iPad. 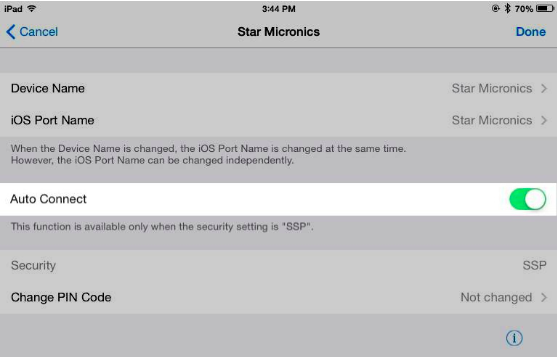 Download the Star Setting Utility app from the Apple App Store, created by Star Micronics. Open the Star Setting Utility app, then select your paired receipt printer from the list. Tap the Auto Connect to turn Auto Connect on, then tap Done. Turn the printer off, wait 5 seconds and then turn it back on. Now you must select the printer from the Bluetooth devices listed in your iPad settings. Tap the printer name and wait for it to connect. Your Bluetooth wireless receipt printer will now connect automatically every time you switch it on, and your iPad is within range. If you continue to experience difficulties with your Star 650 Bluetooth Printer on your iPad, contact our Support Team who will be able to help you further.